It's been a while (again) but here I am with another video! 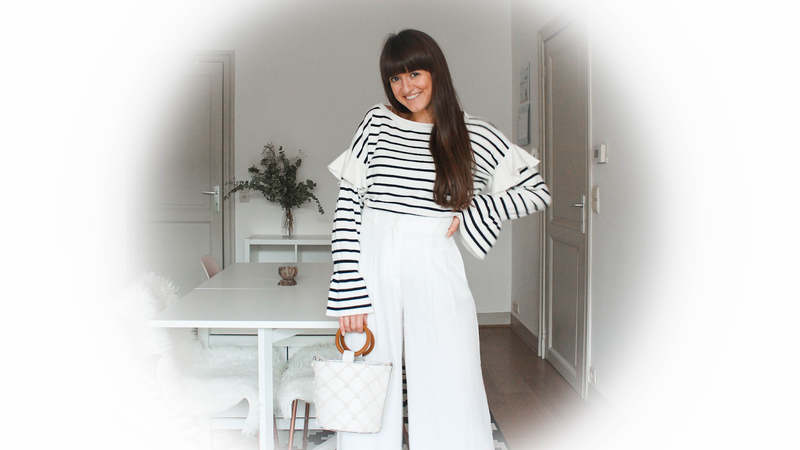 This time I'm showing you 6 different ways to style white trousers, including 3 tips to pull off the white on white look. White (linen) trousers are such an elegant, classic staple for your wardrobe. If you don't have a pair yet, this video might inspire you to get yours too. They make for the perfect summer outfit on days when you don't feel like wearing a dress or skirt (for example because you didn't epilate/shave your legs and you might not feel confident going out like that, even though I think you should totally not care about it!). If you're like me and you don't have many dresses that are long enough to pass as a 'formal' dress (for example to attend a job interview) white trousers have got your back too. As you can find many wide legged pairs in stores this season, they are extremely flattering for any body shape if you ask me. Curvy girls look amazing in wide pants and slender girls too. And for the people thinking white pants get dirty very easily: true, BUT cleaning white clothes is way easier than cleaning colored clothing! You don't have to worry about the cleaning product changing the color of the fabric, so even stubborn stains are easy to remove from white clothing.